After getting a tour of the Paradigm and Anthem CEDIA booth this past September, Chris Martens of The Perfect Vision was eager to test out the new Monitor Series 7 speakers. The new Monitor subwoofers weren't quite ready to launch so instead of a 5.1 system we sent Chris a pair of Monitor 11's, Center 3 and a pair of Surround 3's for review, knowing quite well that (although not preferred) the Monitor 11's were capable of some serious bass, even without the help of one of the new Monitor subs. "What exactly makes the Monitor Series 7 lineup special? The simplest and most accurate answer would be to say that, just a few years back, today’s new Monitor Series 7 models could easily have passed for earlier-generation Studio speakers." 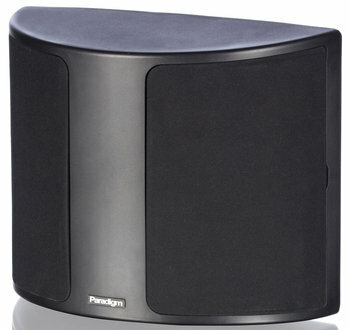 "Right from outset, I was struck by both the smoothness and subtlety of the Monitor-series front channel speakers...Paradigm has seen fit to equip both its Monitor 11 floorstanders and Monitor Center 3 speaker with real, dedicated midrange drivers—not with compromise mid-bass drivers as would more commonly be seen in speakers in this price class." 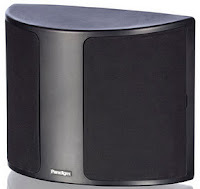 "Paradigm is able to give the Monitor 11s and Center 3 a sound that is unexpectedly agile, nuanced, and refined. 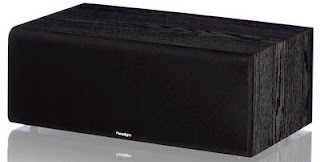 In truth, if I heard these speakers in the dark and was told they were Paradigm Studio models, I would probably find the assertion believable." "Part of what makes the Monitor speakers so unfussy is that they are relatively sensitive and easy to drive. As a result, the speakers deliver an expansive and lively sound with dynamics that can be—where appropriate—downright explosive... the Monitors effortlessly “breathe” and flow with the action... they rarely if ever sound strained or compressed." "...the Monitor 11s offer a really nice combination of bass extension, power and control... you can build a perfectly satisfying Monitor 11-based surround system without feeling any real need to add a subwoofer." "... the Monitors... are willing to play louder than most homeowners would probably think wise, meaning they offer noticeably greater dynamic headroom than some of their competitors." "Good though the Monitor system is for movie playback, I think it does even better with music material...Overall, I found that the Monitor’s presentation... very smooth and pleasingly organic-sounding... sound that makes the system satisfying to listen to—even when powered by modest electronics." "The Monitors catch the soaring, dreamy quality of the mix, thanks in part to surround imaging that is spectacular." "I found the Monitors could easily show difference between source components—not something all affordable priced surround systems could do as effectively as the Monitor system did." As you can tell, Chris wrote a very thorough review. We highly recommend you click here to read the full review.